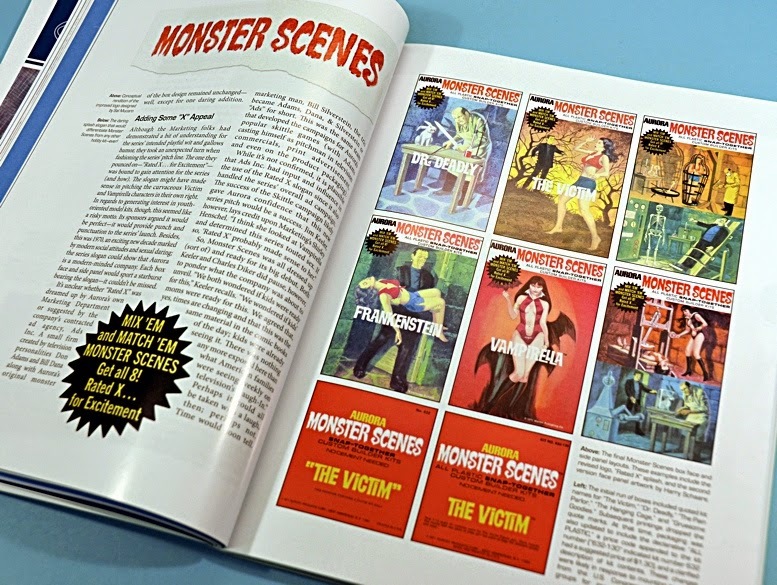 AURORA MONSTER SCENES by Dennis L. Prince and Andrew P. Yanchus, has been a long time coming, but for anyone even vaguely interested in Aurora and its monster kits, it’s a book that's been worth the wait. Mat Irvine: Of all model companies, Aurora is probably the one that most interests model historians. It’s not that Aurora ever made the largest number of kits, or that they were the most intricate or accurate (some of the aircraft certainly weren’t) but Aurora carved out a niche by making the best-known series of ‘monster kits’ - ever. Even if you have no interest in monsters, you are almost certainly aware of the Aurora models of Dracula, Wolfman, the Mummy and Frankenstein’s Monster. 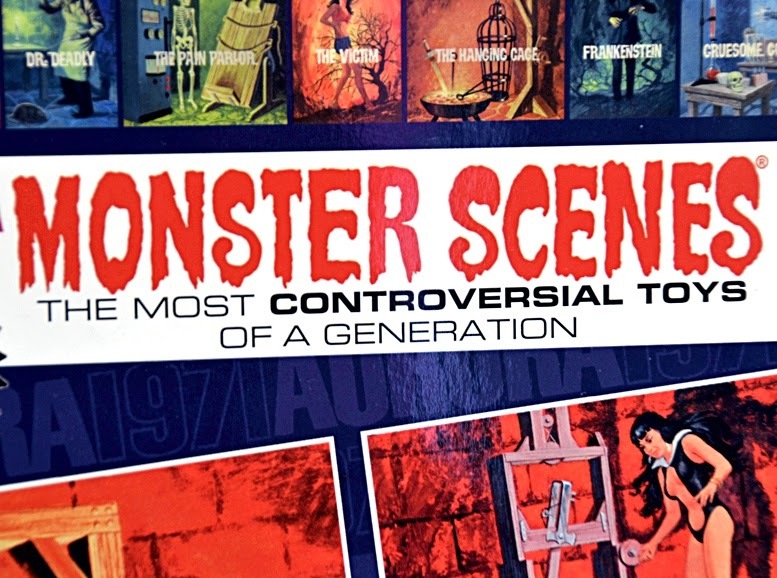 But this book doesn’t deal directly with these, instead its subject is the sub-category that came out of these models, known as Monster Scenes. 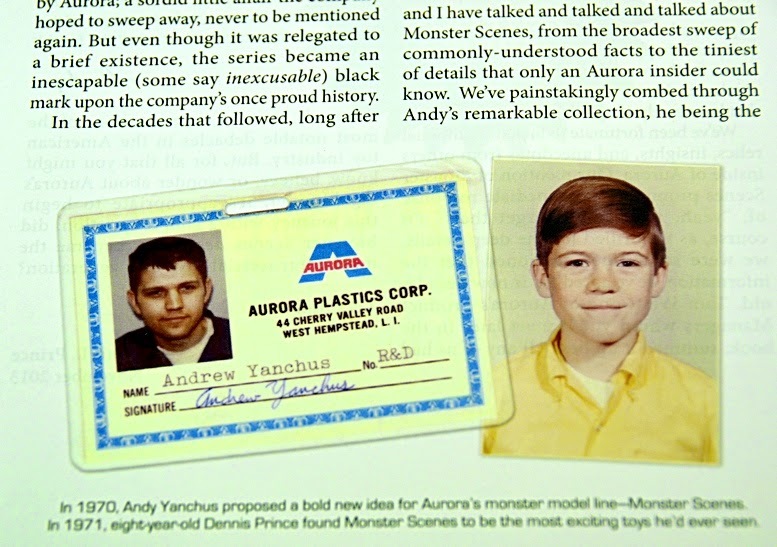 Creator of the Aurora Monster Scenes kits was Andrew P. Yanchus, when he worked as a member of Research and Development at Aurora’s HQ in West Hempstead, Long Island, New York. 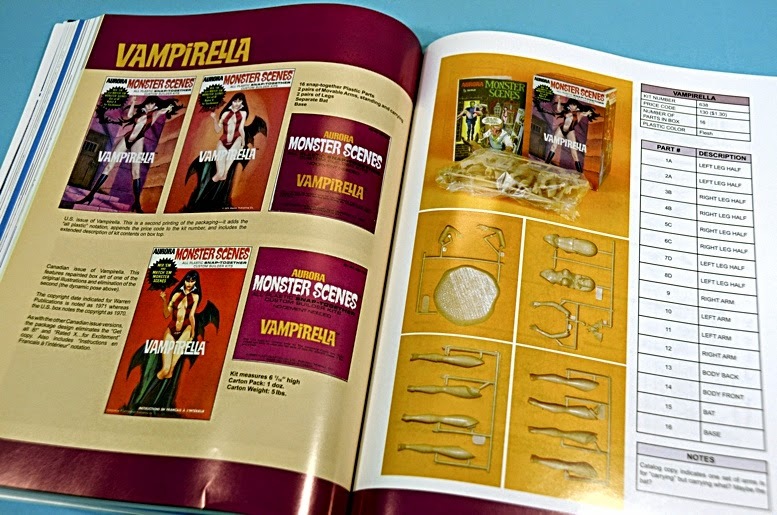 Andy had a long-time interest in figure kits, especially movie monsters, so he had an ideal career working for the model company that created such kits. But Aurora’s heyday was really in the 1960s, and at this point it was 1970 and the company - like other model-kit manufacturers - was having problems. Andy thought of one solution that could help, and created a new series of figures, this time in smaller-scale diorama settings, hence the title, ‘Monster Scenes’. In retrospect these were really perfectly ordinary models. 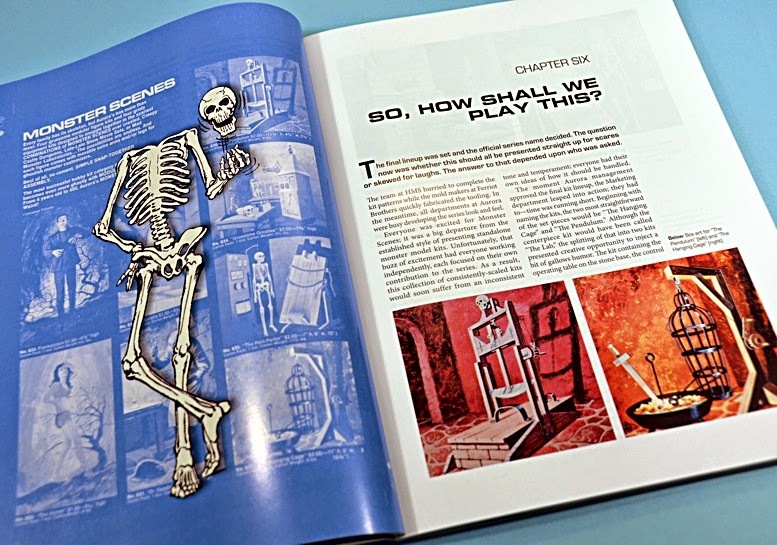 Andy took existing Universal Studios monster designs, added scenes such a dungeon, laboratory, loads of accessories, all of which were interchangeable with the figures, so kids could both build and play. 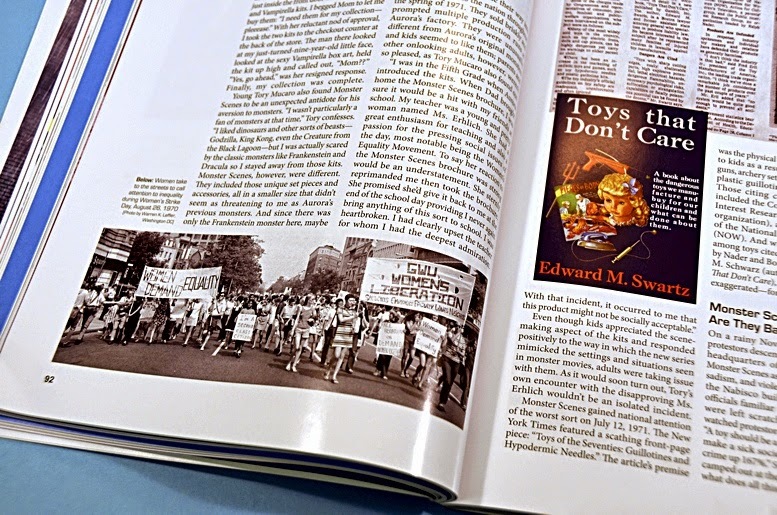 But this was the 1970s, when Aurora was owned by food company Nabisco, which not only did a double-take at this strange acquisition, but then protest groups formed to complain about ‘toys that were not (deemed to be) suitable for their children’. As the Aurora Monster Scenes had guillotines, cages, and high voltage electrical devices, it was an obvious target for such protests. Nabisco didn’t exactly relish this unwanted publicity, and so what started as an innocent model kit exercise turned into one that became highly politicised. There is the saying that goes, ‘There’s no such thing as bad publicity,’ but Nabisco obviously thought the opposite. So that’s the background. As for the book, Aurora Monster Scenes enthusiast Dennis Prince has teamed up with Andy Yanchus, who knows more than anyone about the whole saga - it was his baby after all - and they have written the definitive work on the subject. Andy Yanchus (below left) and Dennis Prince in Andy’s display room. Part 2 of the book is a listing of all the kits, with box variations, layouts, listings and labelling of all the parts, along with built-up kit pix. 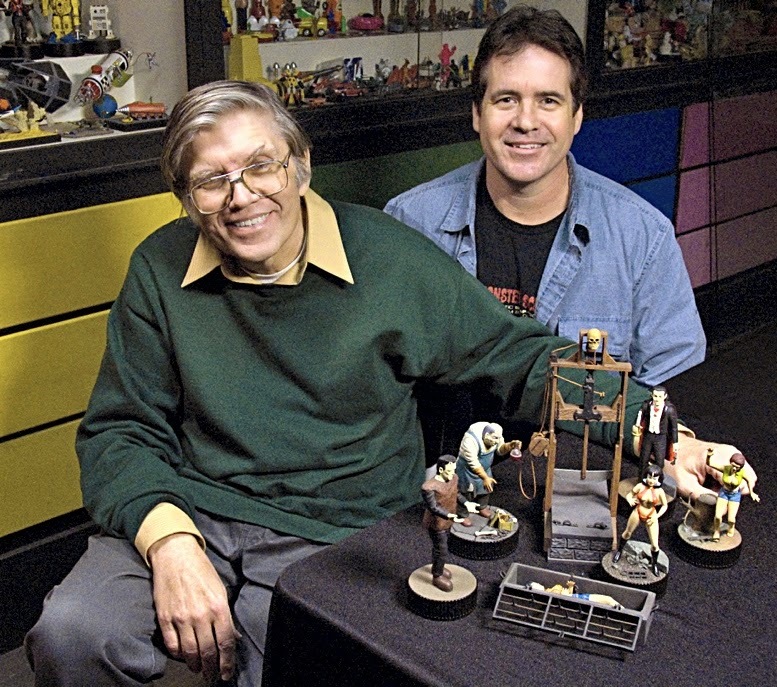 From Mat Irvine’s collection (below), some of Andy’s built-up Monster Scene figures. 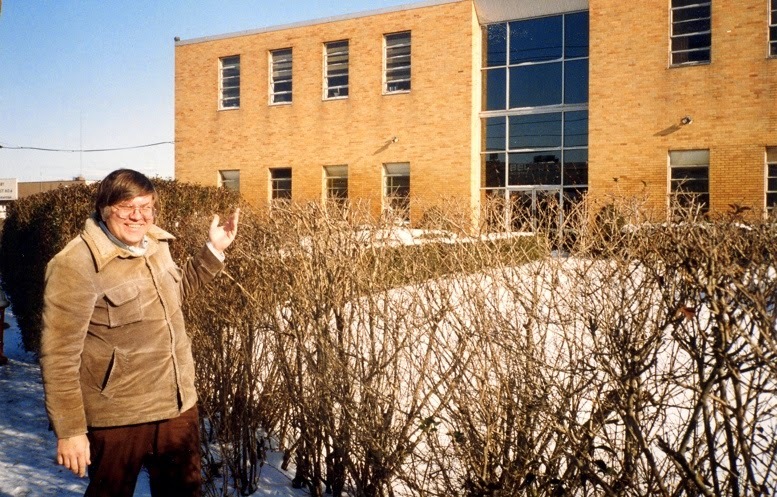 A pic from Mat’s collection (below) showing Andy outside the original Aurora office building in Cherry Valley Road. This picture was taken in 1993, when Aurora itself had already been closed for some 17 years. The building has since been demolished. A highly recommended read for those with a particular interest in the subject, and for anyone with an eye on how even a model company can become embroiled in political intrigue.